Earlier today, I interviewed John Andoh, Executive Director/CEO of the Central Midlands Regional Transit Authority (the Comet), for a podcast about a number of innovative mobility initiatives launched in the Columbia, South Carolina region on his watch. As we were recording the podcast, I was reminded of the following article, which Karen Philbrick, Executive Director of the Mineta Transportation Institute, wrote for this blog almost three years ago. There’s no question that, as Karen points out, a growing number of women serving on boards have added a large dollop of creativity to the governing process , and as we all know, creativity is the preeminent fuel driving innovation. 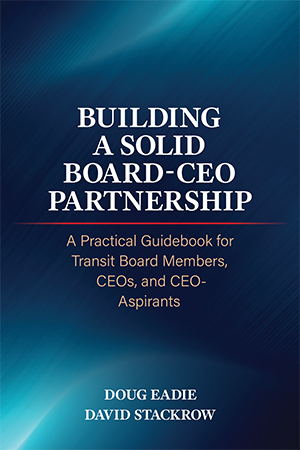 “What makes women such effective board members?” That question came up over a glass of wine at the Women’s Transportation Seminar (WTS) reception held at the Transportation Research Board conference this past January. Apparently, boards comprised of men and women have a superior track record compared to those run entirely by men. Several recent studies have come to this conclusion, including a 2012 Credit Suisse study of 2,360 organizations over a six-year span. It maintained that companies with women on their boards “delivered higher average returns on equity.” Why would this be? We wondered about this while enjoying our wine and the relaxed atmosphere of the reception. We honestly weren’t surprised by the data, because we’ve seen it first hand. In my own life I’ve witnessed superior leadership from women who employ the “collaborative style” often attributed to female entrepreneurs: they are able to get people excited about tasks, and build terrific teams. Part of it is obviously the ability that women have to create strong bonds, even (or especially) within mixed teams. 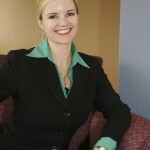 In broad generalities, the men’s desire to “get right down to business” is tempered by the women’s ability to start things out with a few minutes of asking people about their families and personal situations, to gauge “where they are at.” Neither style is “right” or “wrong,” but a blend is achieved when both approaches are present. The magic occurs when yin meets yang. We thought about the women we knew who had exercised stellar leadership. On the Mineta Transportation Institute Board, we happen to have two amazing examples in our Chair, Nuria Fernandez, and our Vice-Chair, Grace Crunican. Their leadership creates unmistakable enthusiasm for the task at hand, and makes people want to work on their team. A lot of ink has been spilled on the issue of why women have a slightly different management style from men. To be sure, a lot of it has to do with early socialization, but many of us underwent a “second socialization” in adult life. This generally starts when we realize that the more aggressive tone a man might take in, say, a meeting doesn’t “work” coming from a woman. We often find that adapting to this odd reality sharpens our leadership abilities: we are forced to listen as much as we talk, and we can become better able, therefore, to “key in” to the issue at hand. Taken together, the careful bonding and the intense collaboration that are often hallmarks of female leadership can be powerful tools: the most effective boards are those that include a healthy mix of communication styles and delegation approaches. And of course I always welcome the opportunity to talk about my precious three-year-old daughter, whether it be a male or female colleague who inquires!